Rockets flexed their power against Clippers, who they defeated by 135-103 in Los Angeles, remaining thus in 3rd position of the West. The people that visited the basketball court, in order to watch the Clippers vs Rockets game, most probably expected a derby. However, in the end they watched Rockets crushing their opponents by 135-103, not on home field. By this winning, the Houston improved their score to 51-28, remaining itself in the 3rd position of the West. Rockets left their mark from the very beginning, escaping by 39-26 in the first phase and by 68-53 in the second one. In the same time, they never relaxed while they achieved increasing their points distance from the Clippers, which touched even the 35 points. 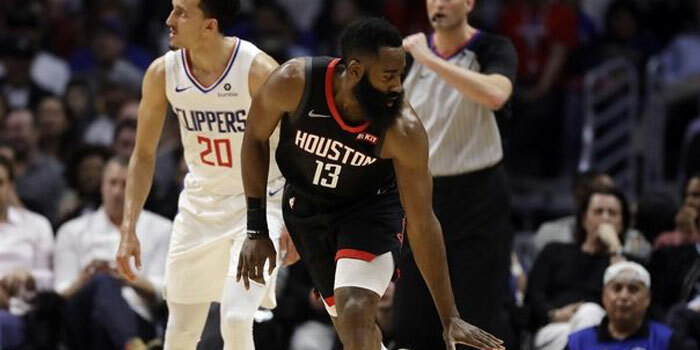 James Harden showed again the way to the Rockets by 31 points, 7 rebounds and 7 assists, while Chris Paul added in the score 29 points and Clint Capela 24 points and 15 rebounds. Regarding the Clippers, Shai Gilgeous-Alexander had 20 points, Danilo Gallinari 16 points and Lou Williams 14 points.